Read any interesting books or articles lately? Would you like to share your views on them? Robin Williams - Will Your Desperation To STOP the Pain Be A Wake Up Call? Robin Williams’ suicide has shocked, saddened and grabbed people’s attention. For those, who know the cause, we are more than saddened because, we know he could have recovered from the labels of substance abuse, Anxiety, Bi-Polar and Parkinson's Disease. While Williams, a public personality, has grabbed people’s attention there has been a trend of suicide increasing in the past 10 years, in spite of the so-called superior pharmaceuticals to treat emotional issues. Furthermore, studies reveal the pharmaceuticals to treat depression and Bi-polar are causing people to have suicidal thoughts and subsequently committing suicide. The Centers for Disease Control and Prevention (CDC) revealed the 2011 statistics, (the most recent year for which data are available), 39,518 suicides were reported. Suicide is the 10th leading cause of death for Americans. To make a more poignant comparison, a suicide is committed every 13.3 minutes. However, it is critically important to include the many deaths that are suicides, but, are labeled as accidents, because there is NO definitive evidence to support a suicide designation. Car crashes, drug (street and prescribed) overdoses, and other death causing mishaps are sometimes unconscious suicide. Between 1990 and 2000, the suicide rate decreased from 12.5 suicide deaths to 10.4 per 100,000 people. Over the next 10 years, however, the rate generally increased and by 2011 the suicide rate stood at 12.3 deaths per 100,000. Coincidentally, during the past 10 years pharmaceutical companies have cranked out several SSRIs . Dr. David Healy, author Let Them Eat Prozac: The Unhealthy Relationship Between the Pharmaceutical Industry and Depression has linked Prozac, Paxil and other SSRI's to suicide. He estimates at least 250,000 people have attempted suicide worldwide because of Prozac alone and that at least 25,000 have succeeded. " Prozac, Suicide and Dr. Healy By Rick Giombetti 58 FDA approved drugs have warnings or precautions about suicidal behavior. Was Robin Williams taking SSRIs for a Bi-Polar label? The probability that his treatment in and out of rehab included one or more of the many SSRIs is highly likely. Was he suicidal as a result of the SSRIs? We will probably never know. An article published in the Journal 2010, of the American Medical Association concluded that antidepressants are no more effective than placebos for depressed people. Jay Fournier, University of Pennsylvania and his colleagues aggregated individual patient data from six high-quality clinical trials and found that people with mild, moderate, and even severe depression, placebos work nearly as well as antidepressants. What we can know if we choose to think outside the pharmaceutical and Western Medicine paradigm is this: Emotional Pain is as real as physical pain. Emotional Pain—the root of the symptoms is caused by experiences and the requisite feelings—sadness, fear, anger, humiliation, guilt and shame that were never addressed or resolved. The one factor, in the Western Medicine protocol is that the psychological, spiritual and interpersonal effects of the symptoms of depression— called a disease by the aforementioned constabularies is rarely considered. From a purely metaphysical perspective depression is a message that all the joy has been squeezed out in favor of others' needs, wants and perceptions. In addition, depression is created by longstanding emotional issues; anger that the person feels s/he does not have a right to have and hopelessness ensues. Last, but not least, longstanding emotional pain engenders a belief in stress and strain. Life is difficult becomes the overriding life perspective. The holistic approach emphasizes the body’s inherent self-healing ability. This is a clear divergence from conventional medicine—a.k.a. Traditional Western Medicine (TWM) or Allopathic Medicine, which focuses on managing sickness and treating symptoms. Holistic Health Care is a wellness protocol that addresses the Mind, Body and Spirit (a.k.a. Emotional/Mental, Physical and Spiritual). Spirit or spiritual references the Universal Energy–All that Is. It is the essence of who you truly are–the core self. Holistic Health Care highlights the causes of illness and focuses on developing a protocol to transform the mind, body and spirit to its natural state of health and wellness. Holistic Health Care focuses on the cause and effect of every symptom. For every effect (symptom) in your life, there is a thought pattern that precedes and maintains it. A consistent thinking pattern creates your experiences. Therefore, by changing your thinking patterns, you can change your experiences, including the dis-ease (symptoms) you experience. The mental thought patterns which cause the most dis-ease (symptoms) in the mind, body and spirit are Criticism, Resentment, Anger, Shame and Guilt. Heal(ing) has a definitive definition for most people. When we use the word healing it implies there is something wrong. I believe healing is much more. The soul’s sole purpose for being here is for emotional and spiritual growth a.k.a. transformation. Healing is evolving and optimizing into our Health and into who we truly are. I believe that Mind, Body, Spirit healing is restructuring our energy that has become distorted, misaligned or suppressed. My definition of healing is evolution beyond just losing some ability and regaining it. What are we really asking for when we ask for Mind, Body, Spirit Healing? When we truly ask for Mind, Body, Spirit healing we are asking about the ‘cause,’ of our pain not the symptoms we are experiencing. When I work with someone, I am not treating, I am not giving therapy, I am only conscious of symptoms because the symptoms are clues to what needs to be transformed. Using the subconscious mind the person is guided to create their unique transformation process to ultimately eliminate (heal) the cause of the symptoms. Do our beliefs create our symptoms a.k.a. illnesses? Without blaming, shaming or finding fault, our beliefs definitely form our limitations and on many levels our beliefs can inhibit us from evolving beyond something or creates a way to live life. What we tell (self-talk) ourselves has an impact on our physiology. For example: Depression (symptom) is Anger turned against the self. Anxiety is the inability to trust the flow and the process of life. Parkinson's Disease is long held fear and an intense need to control everything to ward off the fear. What we need to discover is the root cause of the Anger, Anxiety and Parkinson's Disease to resolve and transcend each symptom. Generally, people continue to do or think whatever they do or think until they have reached a point of pain they no longer want to endure, thus they focus on 'getting rid' of the pain. Western medicine and pharmaceutical research understands this phenomenon well. Together Western Medicine protocol and pharmaceutical research have diligently focused on the pain and provided magic pills to mask the pain. Thus, many people are addicted to a ‘quick fix,’ albeit has many adverse side effects. Transformation (healing) comes when we know what thoughts/beliefs create the pain. i.e. an insight into the cause and effect. Once the insight is made, we then need to transform the thoughts, behaviors and habits that created and sustains the 'symptoms' to complete the transformation i.e. experience life’s vicissitudes from a new and empowered perspective. What is the most important thing people need to know about Mind, Body, Spirit healing? Once someone has experienced the Mind, Body Spirit transformational process, it no longer matters what your prior experience has been, except to lead you to what you need to transform or transcend. Within the first session people are amazed at their transformation. Generally people need more than one session to complete a thorough transformation. 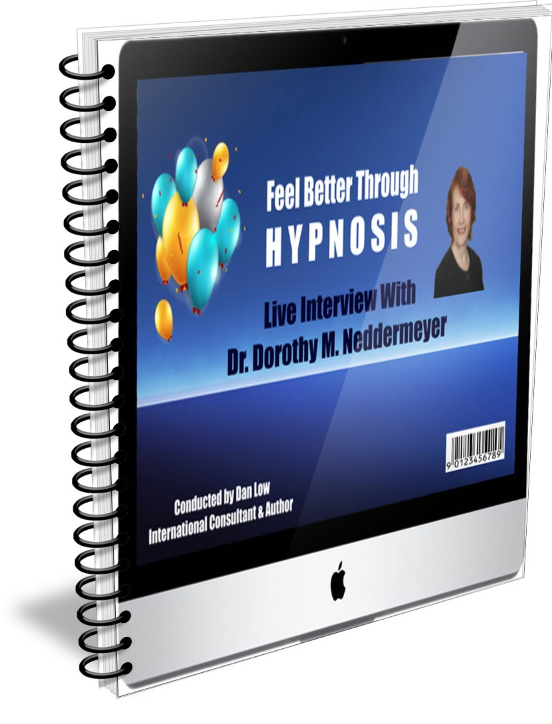 Click here to download live interview with Dr. Dorothy M. Neddermeyer. This Medical News Today (MNT) information page provides essential details about depression - describes what it is, the different forms of depression, its symptoms, possible causes, and currently available treatments. At the end of some sections you may find updates from MNT news articles. Although almost everyone has surely heard the word anxiety - and has somewhat of an idea of what it means - exactly what is anxiety? Generally assumed to be nervousness or worry, having anxiety is actually a much more complex state of being than simply feeling nervous or worried about something. It is a very complex and multifaceted syndrome in not only putting a name to it, but diagnosing and treating as well. There are countless reasons - ranging from environmental causes to physical and mental causes - that people get anxiety, each one affecting every person differently. It can be a very difficult concept to explain, both for the sufferer and those trying to help, too. On the brighter side though, there are some key factors about anxiety that can point toward this diagnosis - at least in the generalized sense - as well as numerous ways to deal with it. People can learn various ways to cope with their anxiety on their own, or with the help of friends, family, and of course professionals. Anxiety can be controlled through methods such as talk therapy, meditation, medication, diet and many other ways. Fortunately, for a condition that can present itself in seemingly endless ways, and with an infinite number of symptoms depending on the individual, there also seems to be a good variety of ways to handle it; the main concern is to figure out which methods work. Generalized Anxiety Disorder (GAD) - Just as it sounds by its name, GAD is anxiety caused by general stressors in which sufferers experience general anxiety-related symptoms such as feeling scared, worried or filled with tension, either when there is no reason to feel that way, or feelings that are in excess about actual concerns. Panic Disorder - A panic attack, or any sudden fear or panic which tends to strike from out of the blue, either in response to real stressors or other reasons, much like GAD; symptoms of an actual panic attack can be much more severe than those of GAD and include racing heart, sweating, inability to catch one's breath and feelings of having a heart attack, among others. Social Anxiety (social phobia) - Extreme stress caused by uncontrollable feelings of self-consciousness and being judged when around other people, and fears of doing or saying something that will be deemed unacceptable by others and cause embarrassment; those with social anxiety tend to avoid social situations even while normally aware that their feelings are largely irrational. Post Traumatic Stress Disorder (PTSD) - An anxiety based condition caused by having experienced traumatic events in life which then continue to affect a person's emotional and mental state; symptoms of PTSD can include fear, avoidance and an endless re-living of events or rehashing of memories, due to the inability to cope with these past events and the pain (emotional or physical) or fear they caused. Obsessive-Compulsive Disorder (OCD) - An anxiety disorder in which sufferers cope through uncontrolled, repeated behaviors and extreme obsessions with actions, things, etc... ; OCD can become quite severe and debilitating, especially if it is interfering with someone's lifestyle to the point of the sufferer being unable to break out of their cycle of repetition to lead a normal life. Specific Phobia - Affecting many people in different ways, phobias of all kinds create anxiety in sufferers due to irrational fears and panic about seemingly normal things; phobias can range in severity from mild to so severe that a sufferer's entire lifestyle is affected, such as in severe cases of agoraphobia (fear of public places) or claustrophobia (fear of enclosed space). Though these are the major classifications of anxiety disorders, there are many sub-classifications that fall within the main ones. Therefore, when someone asks, "what is anxiety", it can frequently be difficult to explain without getting further into a more detailed set of symptoms and diagnosis. What Is Stress and How Does the Body Respond to It? Stress affects millions of Americans every year and the daily demands from family and work wear and tear on the spirit, mind and body. Many people are so used to feeling stressed out that they do no longer listen to the signs of danger in their bodies and continue pushing and over doing. Outside forces acting on our organism are called stressors. Stress has consequences for different areas of our body. Sometimes the body stores stress in different places. Other times our bodies respond aggressively to the continuous effort or over activity. Stress is a universal response resulting from the perception of an intense distressing experience (divorce, losing a job, moving, death, excessive demands). The body sometimes is conditioned to respond to stress with nervousness or aggression and other times it goes totally numb. This is one is the most serious symptom of stress because it is hard to heal something that is not obviously impaired. Stress might also be caused by an non-real distressing event, like thinking of finding a snake in a path, fear of having bears visiting a tent. In these cases the stress response results from the idea that something could happen to us but it is not really there. In this article I will refer to the most common reactions to stress and causes, real stimuli and response. I will not talk about other causes of serious distress or mental health cases. We all have experienced stress at one time or other. However, the way we handle stress is linked to our psychological strength, mind and body strength and our ability to endure challenges. Each one of us will respond differently to the same event, this doesn't mean that some are stronger than others, it just means that we are different with our overall health, immune system and personality. When a threat or the perception of a danger is encountered the whole body stress response will be activated. This mobilization will start a series of physiological events like segregation of hormones like adrenaline and the activation of flight-or-fight response when the body feels threatened by the stressor. Our bodies will start secreting the flight-or-fight hormones in ways that are not healthy for our bodies. When this happens stress will manifest sooner or later with symptoms like headaches, anxiety, lack of sleep, hypertension, muscle spasms, and etc. People with certain personality types who over do and overwork ignore the signs of stress and keep pushing and working extensive hours without giving themselves a break. These are the personalities that are mostly likely to feel stressed out. In addition, people with perfectionist traits or who call themselves perfectionists have obsessions that make them prone to stress. They have standards of achievements that are unrealistically high and beyond reason. This is most noticeable in the workplace. When a situation is perceived as potentially dangerous to our bodies some other internal and external indicators will show like perspiration, rapid heart beats, and mental confusion. These are the body's defense mechanisms to deal with the stress in the best way possible. Sometimes these indicators are just the beginning of a series of detrimental effects on our health. When we are faced by a danger our autonomous system starts reacting fast, these systems are the cardiovascular system, respiratory system, endocrine and reproductive to mention the most relevant ones to stress. In the stress response mode the hypothalamus stimulates the nervous system and allows the release of hormones in the blood stream. This is when stress become serious and we want to make sure that our bodies are not in this stress mode too long. These hormones are preparing our bodies to activate muscle tissue, ready to run away or attack. These hormones also create more room in our lungs so that we can absorb high volumes of oxygen in case we need to run, our hearts start to beat faster because the may need to pump more blood rapidly to our whole body. Our intelligent body create a chain of physiological events to keep our bodies in great shape for a flight-or-fight response. This is sometimes not necessary when we see the situation with realistic eyes, but for our body and brain, what is perceived as a threat creates a different story to our bodies. If you feel that this is your case, please seek the help of your general physician, certified or a hypnotherapist. Stress affects our health in many ways, sometimes in non-perceptible ways and creates long-term illness or even death, for example from a heart attack. Even though it is sometimes impossible to remove all the stressors from our lives, we can try to remove ourselves from dangerous or stressing situations. We need to use our common sense and use our inner feeling system as a guide. • Ask yourself, "How do I feel when... (fill in the blank)?" • Ask yourself, "What could I do to diminish these feelings?" • Pay attention to your body and how you respond to different events. It is really important to learn how to prevent stress and to deal with it in the best way possible. For example it is important to find time for recreation, healthy activities and sports and with the assistance of alternative therapies like progressive muscle relaxation, guided relaxation for health, practicing yoga or any other sports that stabilize our different energetic centers. • Certain diets can help improve stress related situations and or illnesses created by stress, if you are in a special diet follow your doctors recommendations. • Oat bran, fish oil and vitamin B will help you deal with irritability and general nervousness. • Those who practice breathing exercises and yoga are able to handle stress much better. • Certain relaxation practices such meditation, guided relaxation techniques, hypnosis, and the use of biofeedback equipment can help people manage their stress or eliminate it completely. • Finding time for relaxation, self-nurturing activities and enjoyment is critical for a balanced life. Since 1990, Peter Salovey and John D. Mayer have been the leading researchers on emotional intelligence. In their influential article "Emotional Intelligence," they defined emotional intelligence as, "the subset of social intelligence that involves the ability to monitor one's own and others' feelings and emotions, to discriminate among them and to use this information to guide one's thinking and actions" (1990). The Four Branches of Emotional Intelligence. Salovey and Mayer proposed a model that identified four different factors of emotional intelligence: the perception of emotion, the ability reason using emotions, the ability to understand emotion and the ability to manage emotions. Understanding Emotions: The emotions that we perceive can carry a wide variety of meanings. If someone is expressing angry emotions, the observer must interpret the cause of their anger and what it might mean. For example, if your boss is acting angry, it might mean that he is dissatisfied with your work; or it could be because he got a speeding ticket on his way to work that morning or that he's been fighting with his wife. According to Salovey and Mayer, the four branches of their model are, "arranged from more basic psychological processes to higher, more psychologically integrated processes. For example, the lowest level branch concerns the (relatively) simple abilities of perceiving and expressing emotion. In contrast, the highest level branch concerns the conscious, reflective regulation of emotion" (1997). 1985 - Wayne Payne introduces the term emotional intelligence in his doctoral dissertation entitled "A study of emotion: developing emotional intelligence; self-integration; relating to fear, pain and desire (theory, structure of reality, problem-solving, contraction/expansion, tuning in/coming out/letting go)." 1987 – In an article published in Mensa Magazine, Keith Beasley uses the term "emotional quotient." It has been suggested that this is the first published use of the term, although Reuven Bar-On claims to have used the term in an unpublished version of his graduate thesis. 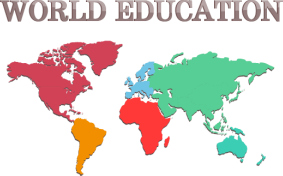 1995 - The concept of emotional intelligence is popularized after publication of psychologist and New York Times science writer Daniel Goleman’s book Emotional Intelligence: Why It Can Matter More Than IQ. Writer and educator Kendra Cherry specializes in making psychology more understandable for students. She is the author of the Everything Psychology Book (2nd Edition) and she has written about diverse topics in psychology including personality, social behavior, child therapy, research methods and much more.